This addon will allow you to travel thousands of years back in the prehistoric period. Huge mammoths, saber-toothed tigers and small dinosaurs are waiting for you! The Archeology addon also contains realistic sounds and some new items. 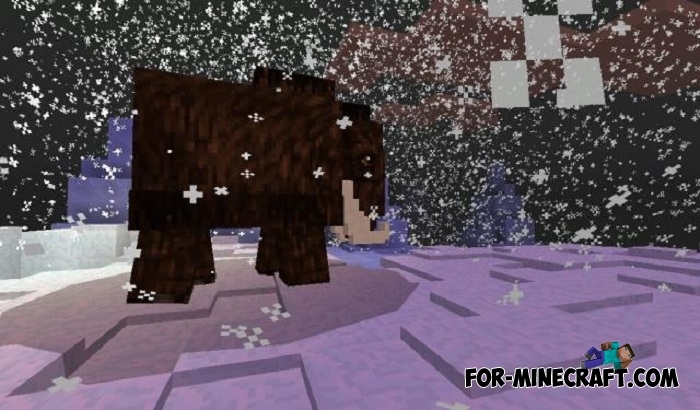 All these creatures existed in the ice age and now they will be in Minecraft PE 1.1. Mammoths are huge mammals that existed several million years ago. Mammoths are very calm until they meet the saber-toothed tigers. 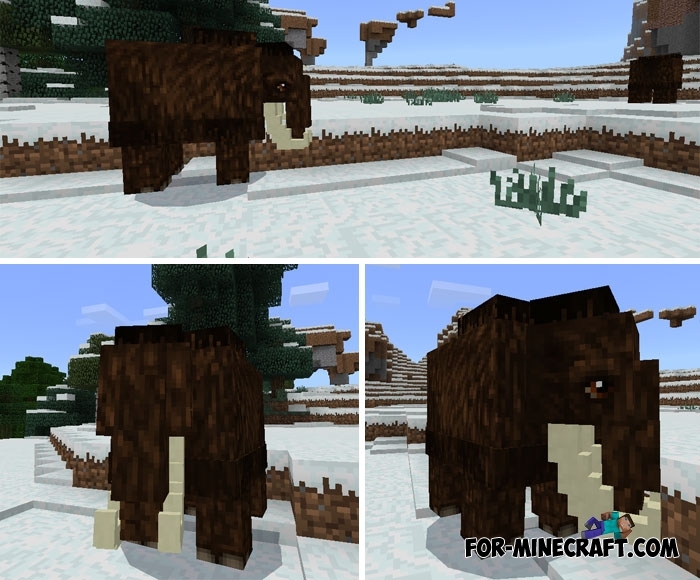 Usually mammoths live in snow biomes and gather in small flocks. If you kill one of them you will get mammoth fur, meat or fish. Smilodon is rightly considered one of the fastest animals able to attack the enemy with their big canines. 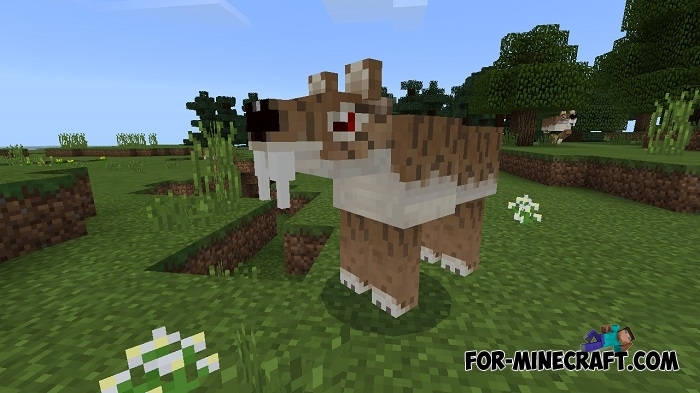 Smilodon can become your pet if you feed it with meat (suitable for almost any kind of meat). These animals are like tigers and have characteristic sounds. It is better to keep them away from the pigs, cows and sheep. 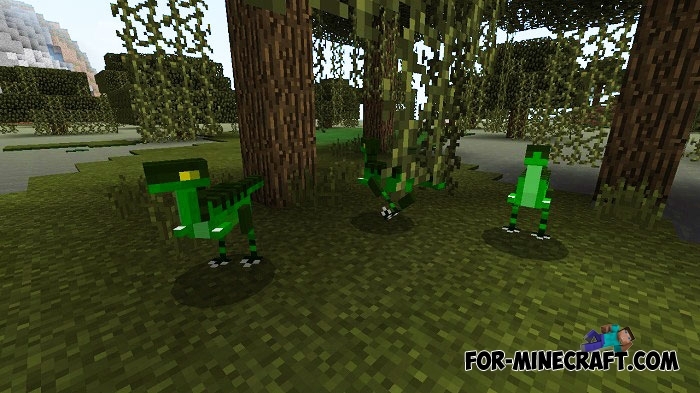 Compsognathus has already been added to the Dinosaur Pack and is now included in the Archeology addon. This dinosaur is very small and weak, enough to hit it once to kill. It feeds on rabbits and is aggressive towards players. Like other creatures, it also produces sounds and can live anywhere.